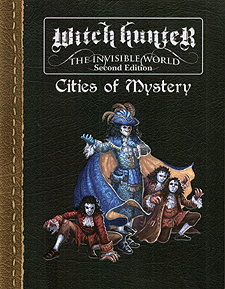 Cities of Mystery details eight cities, four in the Old World, and four in the New. The cities' people, notable places, history and hidden threats are revealed in detail. Each local offers a suggested campaign for Grand Masters and new rules for GMs and Witch Hunters Alike.